Fits over standard interior doors up to 1-3/4"
19 in. Essick Hook Rail Satin Nickel Organization with style has never been so easy. This metal rail with hooks allows for easy access to frequently used items such as hand towels, potholders and kitchen utensils. This sleek design maximizes unused space between your counter tops and cabinets. Embrace the Liberty of organization! 19 in. Essick Hook Rail Satin Nickel is rated 4.6 out of 5 by 18. Rated 5 out of 5 by mf from Attractive, just what I wanted for bath towels in the bathroom. Attractive, just what I wanted for bath towels in the bathroom. Rated 4 out of 5 by Lou from Looks nice. Seems well made.... Looks nice. Seems well made. Rated 5 out of 5 by Davko from Easily and quickly installed. Sturdy and well made. Easily and quickly installed. Sturdy and well made. Rated 5 out of 5 by Wendy from This hook rack is exactly what we were looking for! We're using them for towels and clothes in t... This hook rack is exactly what we were looking for! We're using them for towels and clothes in the bathrooms. It isn't the heavy chrome you would expect when you pay $$$, but looks the same when on the wall and is very sturdy. Also, very easy to install. A great buy! Rated 5 out of 5 by cooky from This is a wonderful hook rack, I use one in the kitchen and hang kitchen items on it and one in t... This is a wonderful hook rack, I use one in the kitchen and hang kitchen items on it and one in the closet. Strong and sturdy a great looking and useful rack. 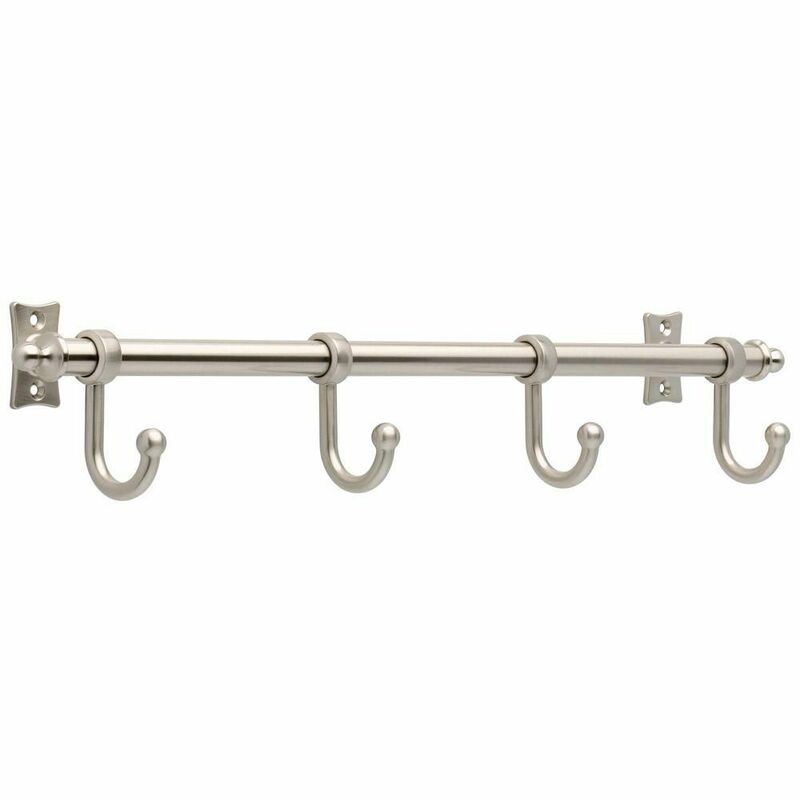 Rated 5 out of 5 by Laurie from This hook rack is sturdy, and attractive. It can be... This hook rack is sturdy, and attractive. It can be used for boots purses, clothing etc. A great addition to my closet. It makes for a an efficient use of space. I have two in my master closet, one above the other, and one in my master bathroom. Very convenient! Rated 5 out of 5 by DrBen93 from Easy to install. Looks great. ... Easy to install. Looks great.